England and Italy faced each other in their opening group game to get things off in Israel. It was largely a dull game for most part with neither side willing to take risks and go an extra mile. England (disappointingly) resorted to long balls over the top, while Italy seemed like the far superior side getting into a decent passing rhythm. The Italians looked more like doing something with the ball and created more of the chances. England were the first to have the ball in the net, but after some confusion it didn’t stand. The French referee, Anthony Gautier, it must be said seemed the most nervous (more than the young players) with a lot of indecision and plenty of controversial incidents. The Italian midfield stepped up and took control of the central area. It proved to be the difference and it has reflected on our picks for the Top 3 Best Players. The short attacker from Naples is one of the most exciting players in this tournament (and features in our list of Players to watch out for at the U21 European Championships), with a bright future ahead of him. This is his chance of stamping down his place in the first team under Rafa Benitez at Napoli. From start to finish, Insigne was a bright spark in attack, and looked far superior than the rest of the players on show. 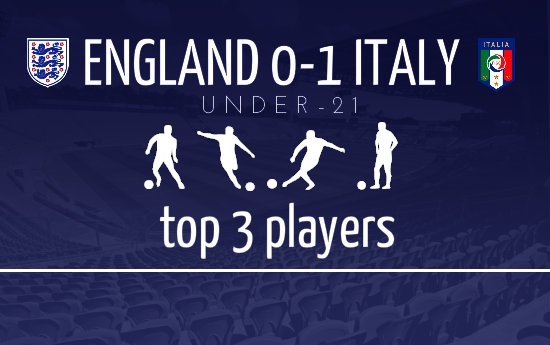 The England defence have an impressive record of not having conceded a goal in 18 months, but Insigne was too much too handle for the Young Lions. His quick feet, creative vision and flair was almost alien to the young defenders, something they weren’t accustomed to facing. His technical ability was hard to keep up with as he constantly connected with Marco Verratti from deeper in the midfield. Unlike much of the team, he wasn’t playing a restrictive game, attempting to play with more liberty. He primarily played in between the Italian midfield and English defence, surging forward occasionally when Borini ahead of him failed to do so. He. unsurprisingly, was the match winner when Manolo Gabbiadini was brought down by Nathaniel Clyne. Insigne wanted a penalty, the official didn’t give it, but Insigne beautifully dispatched off the free-kick into the near corner. It was a fair result as Insigne was by far the best player on the field, and was constantly active, besides a slight barren period early in the second half. Having been the most eager attacker in the Italian side, his defensive contribution was minimal. Something that can be ignored though as he constantly moved across the attacking areas, from wide to the centre, and was an absolute live-wire. He can be an important creative tool for the Italians for the rest of the tournament with the toughest group stage opposition already beaten. For a more detailed Scout Report on Lorenzo Insigne, click here. In a match that almost mirrored the Euro quarter final clash between the senior teams from these two countries last year, Italy dominated the game, and eventually found a fantastic winner, courtesy of Lorenzo Insigne. But the engine room, the driving force behind the victory would have to be the fantastic Marco Verratti. The PSG star began the game in the centre of midfield, and dictated the tempo and the flow throughout the match. His passing was a joy to behold, as he made a mammoth 120 passes over the course of the 90 minutes. In terms of length, direction, and weight, they were almost perfect. He mixed short passing with the occasional long ball. A lot of these long passes were directed to empty spaces in the England ranks, who held a good shape, but were at times pulled out of position by the intelligent running of the likes of Immoblie and Borini. His movement over the course of the game was another difference maker. The England players found it very hard to pick him up, mark him and close him down. He started off from the deeper areas, picking the ball up from his defenders and playing passes out. Soon, Shelvey was assigned to close down such spaces, and Verratti moved slightly further up to gain space. This is where the ball playing ability of the Italian defenders like Caldirola came in handy. In advanced areas too, Verratti caused problems, using his quick feet and accurate passes to trouble the defence. While defending, he held his position and discipline well, and this made it tough for England to pass the ball through midfield, or even get it to Redmond and Sordell. It wasn’t just Verratti, but the entire team, who under the guidance of Mangia, defended well. 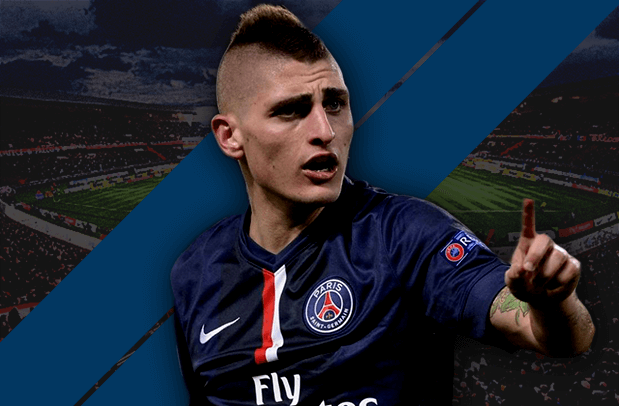 For a more detailed Scout Report on Marco Verratti, click here. A different tournament, a different level, entirely different personnel but unfortunately it was same old, same old for England. 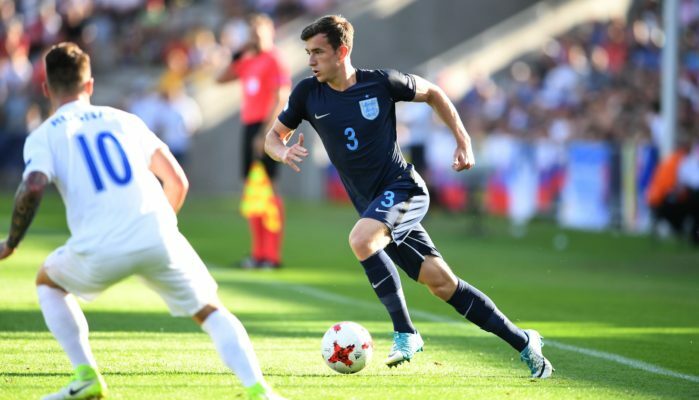 The shortcomings of the senior team has seemingly leached down into the U-21 squad. It was a performance characterized by sloppy passing when put under pressure and the all to familiar propensity towards the long ball up to the target man. Quite simply Italy were technically superior. There is a case to be made for lack of tactical acumen on the part of Pierce and his staff but that is a discussion for another day. It wasn’t all doom and gloom for England though. One bright spark for them, especially throughout the 1st half was Birmingham City winger Nathan Redmond. The youngster was drafted into the squad as a late replacement for Andros Townsend after the latter’s alleged breach of betting rules resulted in him pulling out of the squad. With the higher profile names of Zaha and Ince missing out due to injury and suspicion respectively, Redmond was called on to patrol the right wing. Redmond provided a different dimension to the England attack. The diminutive winger provided a stark contrast to his teammates Wickham and Sordell not only in build but also in style. Redmond was certainly not shy in running at the Italian defence with the ball at his feet. Drifting infield more often than hugging the touchline like an old fashioned winger, the 19 year old provided England’s main attacking threat in what was otherwise an attack lacking bite. Another impressive aspect of his game was that he wasn’t shy of letting fly on goal with either foot. On his numerous forays infield, Redmond displayed his ability to find the right pass at the right time. While perfectly capable of playing on either wing, the number 10 role could also be a future option for him.